Understanding Bangalore via its voter registration details. 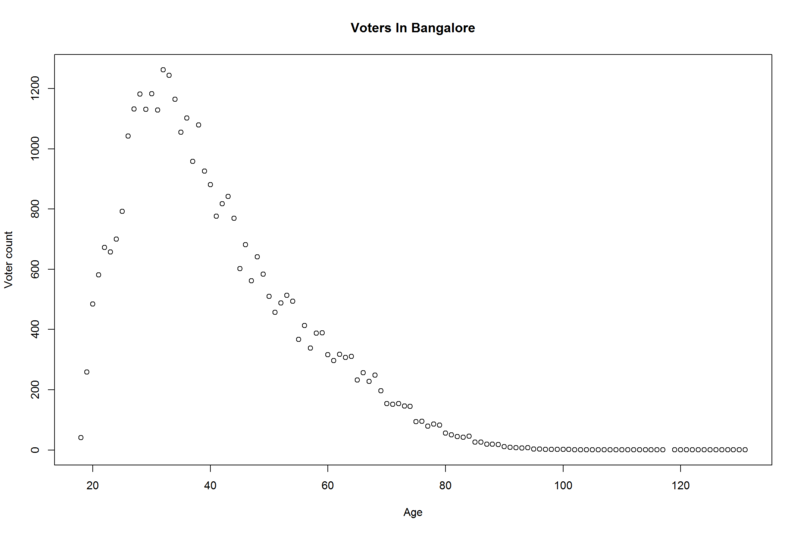 This document uses the voter list data for conducting a demographic analysis of Bangalore. We will be using the ward wise age distribution data to check whether we can identify certain characteristics of the city. We see that overall across Bangalore the age distribution peaks at around 30-35 years and then gradually falls until 80. As a first cut analysis to check the robustness of the data we will see whether we can identify demographic distribution across wards and correlate the distribution with supporting evidence. We will try to statistically predict areas of Bangalore that are pensioners paradise, student enclaves, working singles, working families and migrant areas based on the voter data. The different groupings are defined as follows. Migrant Areas:Large young working population with a spike around retirement age when parents relocate to be with the children. Which groups contain interesting data? 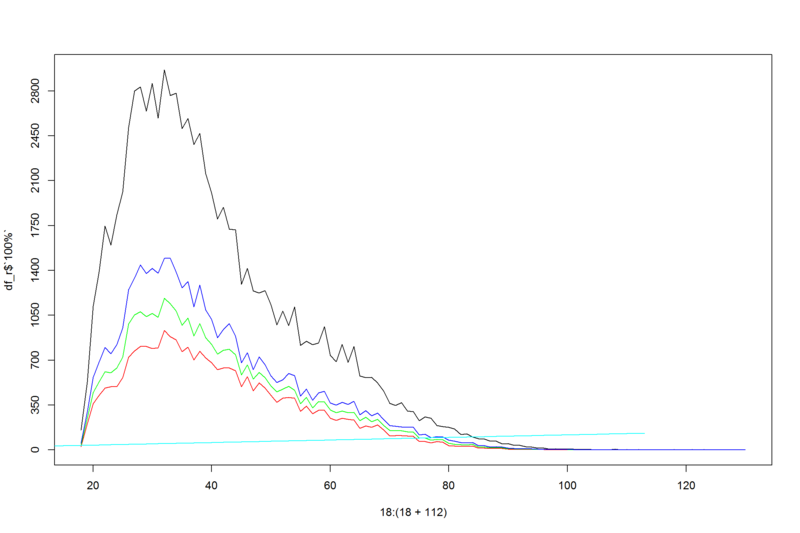 Checking the standard deviation for each of the identified groups across 198 wards, we find that the deviation for students and retired groups is very low across the wards. It either means that they are uniformly distributed across the city, or in case of students, if there is a student enclave (around engineering schools, medical colleges, IISc and IIM’s) it is not showing up because outstation students have not registered in the local voters list. We find high deviation for New families (27-40 age range) and senior citizens(62+) group. Where are the young families settling down? Along with a few wards in the neighborhood of the above wards. Mahadevapura contains various IT parks on Outer ring road between Kr Puram and Sarjapur, ITPL, Bagmane tech park. Bommanahalli is close to both ORR tech parks and Electronic city. Begur is close to electronic city. So the presence of these job providers has resulted in increasing the density of young workers in these areas. Why haven’t the new clusters like Manyata tech park shown up in this list? We may have to plot the relationship between setting up of a tech park and its influence in the community over time in order to predict the time required for these new tech park to change the demographic. Bangalore was once upon a time known as pensioners paradise, so where exactly are the senior citizens settling down? The data reports old Bangalore areas as the areas where citizens above 60 years are clustered. Looking at historic trends can help us understand the impact of current activities over time. Breaking down the data to polling booth level will help understand whether student enclaves are missing due to non-registration or they are getting merged in the overall population. Areas which should have shown a deviation for a given demographic but is not, is an indicator for a dedicated voter registration effort by ECI.